Arguably the greatest diver of all time, Greg Louganis traces his story from a difficult childhood, through his Olympic conquests, to a transformative post-Olympic life, outlining the discrimination and other obstacles he has faced throughout his remarkable journey. The Backward Class is a feature length documentary featuring the first class of dalit ('untouchable') caste students to attempt the Indian School Certificate exams & aspire for university. In the 1920s immigrant inventor Jacques Bolsey aimed to disrupt the early film industry with a motion picture camera for the masses: the iconic Bolex. Over 90 years later, filmmaker Alyssa Bolsey pieces together the fragments of a forgotten family archive to reveal the epic story of her great-grandfather in “Beyond the Bolex.” Interviewing family members and renowned filmmakers, Alyssa travels to Switzerland, and delves into Jacques' personal diary, film reels and collected images in order to understand the man and his impact on generations of filmmakers. Beyond Standing Rock investigates the controversy behind the Dakota Access pipeline and the collision of forces that inspired broad protests. Even as the Trump administration reverses President Obama’s decision to halt the pipeline’s construction, the Standing Rock Sioux tribe’s struggle for control over their treaty lands is far from over. The documentary shines a spotlight on tribal sovereignty issues and a 170 year-long conflict with the US government over independence and control of resources. 2017, USA/China, 88 min, in Mandarin & English. The intimate journey of Chinese migrant worker Yi Yeting, a benzene-poisoned victim-turned-activist who takes on the global electronics manufacturing industry. Complicit reveals the true human cost of the devices we can’t live without. Daddy Don’t Go captures two years in the lives of four disadvantaged fathers in New York City as they fight to defy the odds against them. And the odds are real – men living in poverty are more than twice as likely to become absent fathers than their middle-class peers (U.S. Census Bureau). Daddy Don’t Go is a tough but tender journey that aims to illuminate the everyday struggles of disadvantaged fathers. Alex, Nelson, Roy and Omar shatter the deadbeat dad stereotype and redefine what it means to be a good father for all men. Massimo and Lella Vignelli are among the world's most influential designers and cover such a broad spectrum that one could say the Vignelli’s are known by everybody, even those who don't know their names. Throughout their long career, their motto has been, 'If you can't find it, design it'. 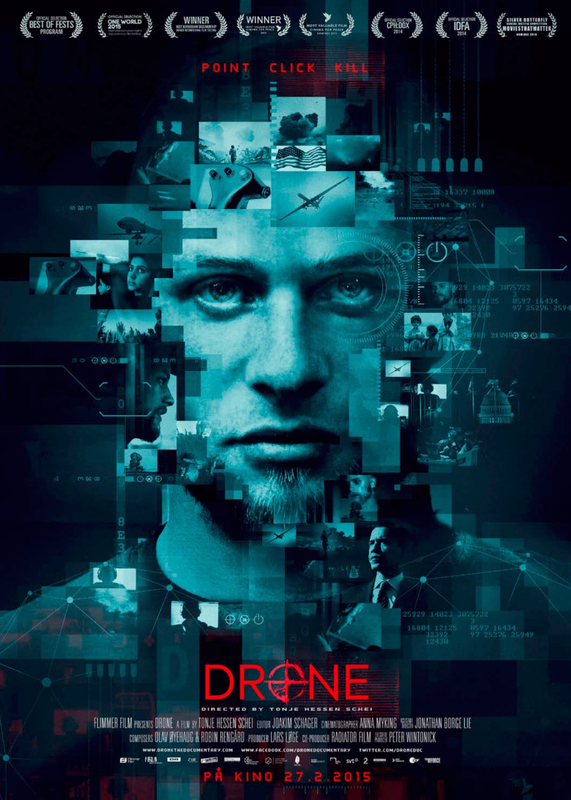 Following people on both sides of the drone technology, Drone covers diverse and integral ground from the recruitment of young pilots at gaming conventions and the re-definition of “going to war”, to the moral stance of engineers behind the technology, the world leaders giving the secret “green light” to engage in the biggest targeted killing program in history, and the people willing to stand up against the violations of civil liberties and fight for transparency, accountability and justice. Corporations, billionaires and free-market ideologues see dollar signs when they look at American public schools. Billions of tax dollars are being diverted away from public school children under the banner of 'school choice.' Dark money contributors are funding free-market reformers to take over local school boards and transform American public education into a business. Parents, teachers and students are fighting back across the country. India’s second most populous state Bihar, where Buddha attained enlightenment, has seen hundreds of forcible bindings of petty criminals and often innocent persons in the last three & half decades. The Eyes of Darkness is a character driven film following Munna Thakur, a bank robber who was forcibly blinded in 2012 many years after he was already reformed. As he fights for justice neither the government nor media pays attention. With exclusive access to Munna and his attackers and all others, this film exposes the most horrific form of vigilante justice taking place in the world’s largest democracy. From Nothing, Something profiles creative thinkers across a variety of disciplines to find the common techniques, habits and neuroses that lead to breakthrough ideas. This is an intimate, often funny look at the creative process - straight from some of our culture’s most unique and accomplished talents. With depth, humor and pathos, La Chana celebrates the charisma and flair of a self-taught Gypsy flamenco dancer who in the 1960s-80s rose to international stardom and then suddenly vanished from the public eye at the height of her career. Peter Sellers saw her dance as a young woman and asked her to perform in the film 'The Bobo' in 1967. Hollywood beckoned, but that was not to be. In her baroque boudoir in Barcelona, La Chana continues to practice her art and reveals the reason her career came to such an abrupt end. Filled with footage of spectacular flamenco dance and music, this film brings us under the skin and into the irrepressible spirit of this eccentric woman with an uncanny gift for rhythm who, despite all odds, enjoys a comeback in her late sixties. A spirited testimonial to this quintessential film enthusiast, the late founder of the Cinemathèque Française, Henri Langlois. Langlois, made in 1970, offers a whimsical, anecdotal portrait, interspersing interviews with Monsieur Langlois's admiring associates with footage of him as he walks around Paris, holding forth on anything from a house in which Jean Renoir once lived to the black and white swans he spies in a park. The film culminates with the manifestations of support for Langlois following 1968 French Minister of Culture André Malraux's failed attempt to replace him as head of the Cinemathèque. His exalted institution progressed from just 10 films in 1936 to 60,000 films in the early 70s. In 2017, it stands as one of the largest film collections in the world. Enter the creative process of Ohad Naharin, an Israeli choreographer whose joyous performances have redefined the language of dance. Once a sought-after dancer in the company of Martha Graham, Naharin has spent the past 25 years pushing the boundaries of physical and political expression at Tel Aviv's Batsheva Dance Company. Through rich archival footage, intimate rehearsals and eye-popping dance sequences, director Tomer Heymann crafts an affectionate portrait of a cultural maverick and his audacious efforts to bring the joy of movement to people of all ages and physical abilities. 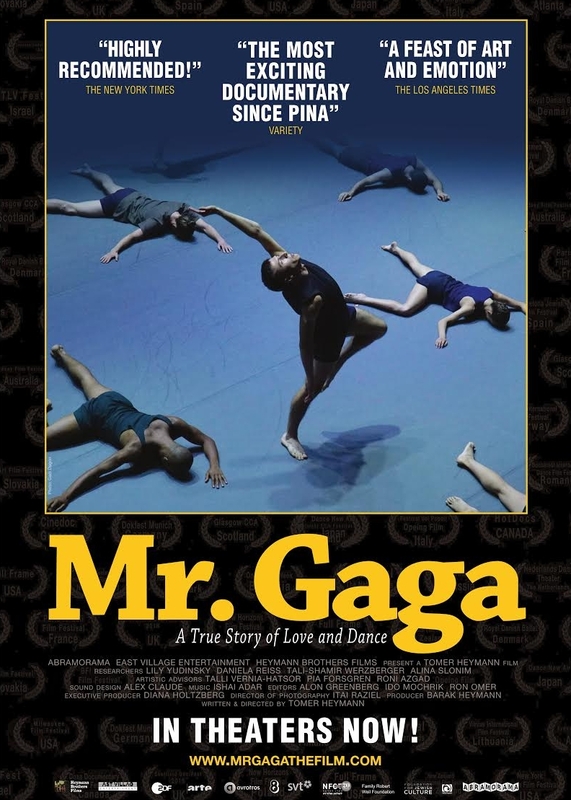 The product of an eight-year collaboration between Heymann and his subject, Mr. Gaga is a feast for the senses, celebrating an artist whose exuberant dances capture the thrills and burdens of having a body. After the Americans left Iraq in 2011, a male nurse named Nori Sharif was asked to report on the state of his country, providing unique access into one of the world’s most dangerous and inaccessible areas – the “triangle of death” in central Iraq. Working in the local hospital in Jalawla, he filmed the victims of war over the course of five years. The shocking images show families torn apart, maimed and damaged by the violence in Iraq. And every day more arrive, as the conflicts continue and life is disrupted by attacks over and over again. Often it isn’t even clear who the adversaries are. But the threat level increases, and when the Iraqi army pulls out in 2013 because of militant groups, the population flees – accompanied by the majority of the hospital staff. Sharif is one of the few who remain. When IS advances on Jalawla in 2014 and finally takes over the city, Sharif continues to film. Then he too has to flee at a moment’s notice, to bring himself and his family to safety. To reckon with the aftermath of 9/11, the US Congress set up a special fund to compensate victims of national disasters, and called upon Ken Feinberg to dispassionately assess claims. Decades before, the compensation specialist had determined damages for Agent Orange-exposed Vietnam vets. Later, he oversaw compensation for the victims of Deepwater Horizon, Sandy Hook, the Boston Marathon bombing and the 2008 bank crisis. In this candid, complex portrait, director Karin Jurschick reveals the man who puts a dollar value on human lives. Inviting us into a world we would otherwise never know, this richly textured portraiture jumps off the screen in vibrant, clarifying colors. Carmen, Lety, Raquel, and Esther, each ranging in age from 50 to 80 years old, work the streets of La Merced in Mexico City, where life revolves around a large town plaza. Age means nothing to these women, who still dance and seduce with the same energy they’ve held on to since youth. But with time comes a desire to seek out companionship and security, whether in the form of their fellow co-workers, older men, or their own deeply ingrained sense of self-reliance. Photographer-turned-filmmaker Maya Goded refuses to shy away from the painful aspects of these women’s jobs—the abuse, fear, and discontent that come from years of selling intimacy. She leads us into their histories, families, superstitions, and hopes, while allowing the camera to hone in on the contours of their well-worn bodies—beautiful and real. Plaza de la Soledad is a sumptuous visual celebration and a refreshingly honest exploration of physical and emotional self-determination against difficult odds. For three years a well-known Norwegian extremist gives unique access to his everyday life encouraging jihadists in Europe until he is arrested for supporting terrorism by recruiting for ISIS. 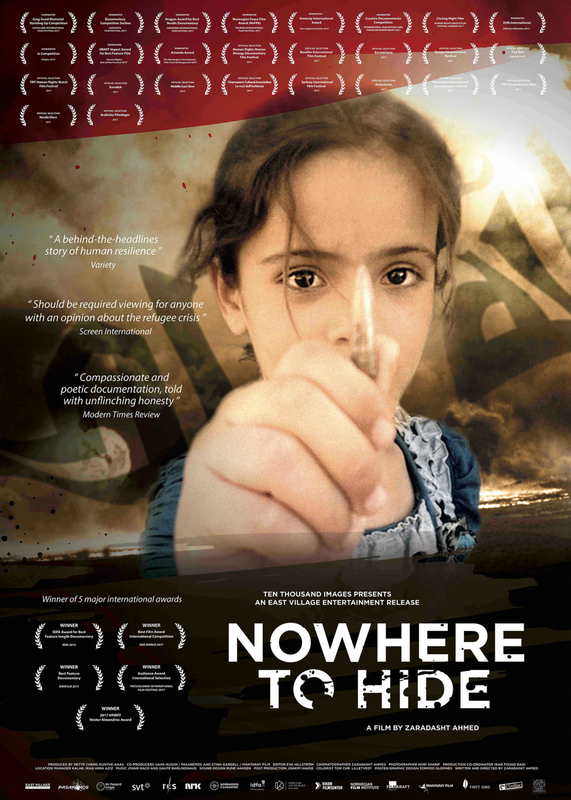 This extremely timely film highlights the tension between free societies and those who take advantage of their values while seeking to undermine them. 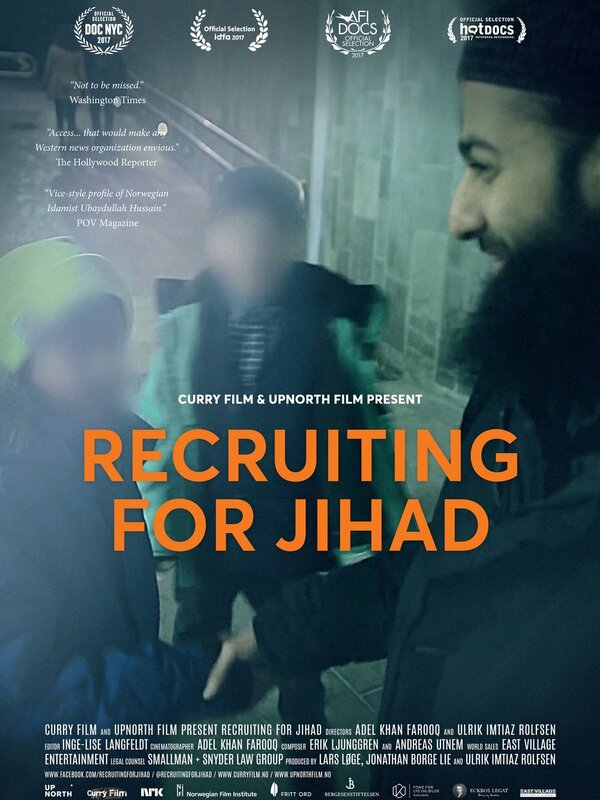 Recruiting for Jihad is especially resonant and newsworthy given the deadly incidents in Paris, Stockholm, London, Berlin, Nice, Brussels, San Bernardino and elsewhere. Sam Schmidt was living out his boyhood dream as an IndyCar racer and earning the title of IndyCar “Rookie of the Year”. His dream came to an abrupt end when he crashed into a wall at 200 miles per hour, leaving him a quadriplegic. Sam’s accident rendered him physically helpless, unable to scratch an itch much less drive again, until a dedicated group of bright engineers stepped up to build him a car that he could drive using only his head. Reengineering SAM chronicles Sam’s personal life and business ventures (he has 15 businesses), his road back to the Indianapolis Motor Speedway, and groundbreaking adaptive technologies that hold promise of a level of independence for anyone confined to a wheelchair. This powerful documentary about the role of Native Americans in contemporary music history—featuring some of the greatest music stars of our time—exposes a critical missing chapter, revealing how indigenous musicians helped shape the soundtracks of our lives and, through their contributions, influenced popular culture. Silicone Soul explores the emotional connection some people have to their lifelike synthetic companions and what that means for the future of human relationships. Ultimately, this is a film about love, loneliness, secrets and, perhaps, acceptance. The bonds shown are diverse and layered: from romantic relationships, to friendships, to a recreation of the love between mother and child. Silicone Soul does not allow for its subjects to be easily labeled or judged. Instead, the film is a collection of resoundingly human stories that reflect universal themes—the desire for love, compassion and communication. Who are we to judge who…or what…people choose to love? Syl Johnson: Any Way The Wind Blows is a portrait of an overlooked yet hugely influential African-American musician whose 60 year career spanned every genre of Black music from the Blues, to Soul, to Funk, to Hip Hop. When The Bough Breaks is a feature length documentary about postpartum depression and postpartum psychosis. Narrated and Executive Produced by Brooke Shields, this groundbreaking film uncovers this very public health issue, which affects one in five new mothers after childbirth.